Sometimes you can get pretty bored of sitting on the couch every night, watching the same show over and over, and stuffing your face with yummy treats. Of course, it doesn’t happen often – but it does happen once in awhile. So, sometimes we just want to get out of our house and do a similar thing, but rather than sitting on a couch watching the television and stuffing our faces, we sit in a theater and watch an epic musical (and stuff our face). There’s no denying it; Hamilton is one of the biggest musicals to hit Broadway in a long while. As the brainchild of Lin-Manuel Miranda, Hamilton follows the life of one of the American Founding Fathers – Alexander Hamilton. The musical is based on the popular biography, ‘Alexander Hamilton’ which was written by the historian, Ron Chernow. However, it’s not going to be a stuffy historical and dull musical that will make you wish you’d stayed home. Instead, it is EPIC. Miranda has received critical acclaim for the production which includes both singing and rapping. You get the best of both worlds. People always say that seeing a Broadway musical right in front of your eyes is a magical experience. Want to make it even more magical? 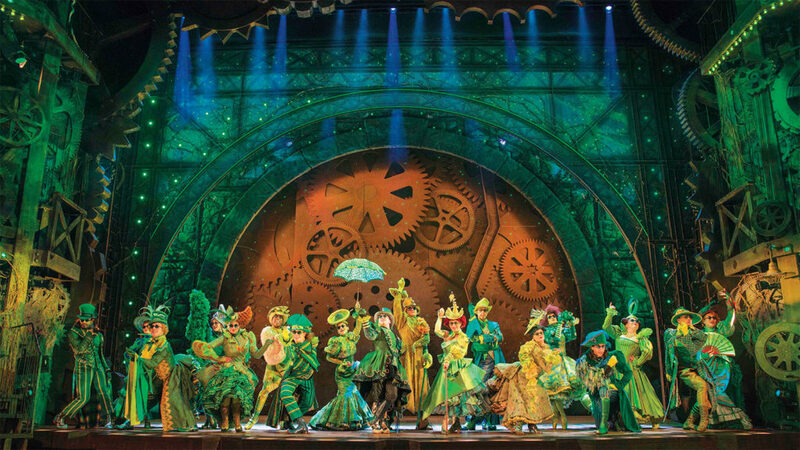 Take a trip to see Wicked. As the eighth-longest-running Broadway musical in the history of musicals (which is a pretty big deal), Wicked has become the go-to musical for anyone wanting a bit of action, romance and an awesome backstory. This musical is officially titled Wicked: The Untold Story of the Witches of Oz, and it does just that. You venture into the early years of Glinda the Good and the Wicked Witch of the West and find out why she became so wicked. If you’re a fan of musicals, you’ve probably seen the amazing 1998 film – and if you’re a fan of the film, you’ll love seeing the musical take place right in front of you. This story follows the lives of the Jellicles, a tribe of cats who spend their night deciding which cat will come back to a new life. Sure, it sounds pretty morbid, but it’s pretty darn amazing. This Andrew Lloyd Webber production has been on Broadway since 1982, but took a break in 2000. Thankfully, the Broadway revival was initiated in 2016, and the musical is proving just as successful as ever. 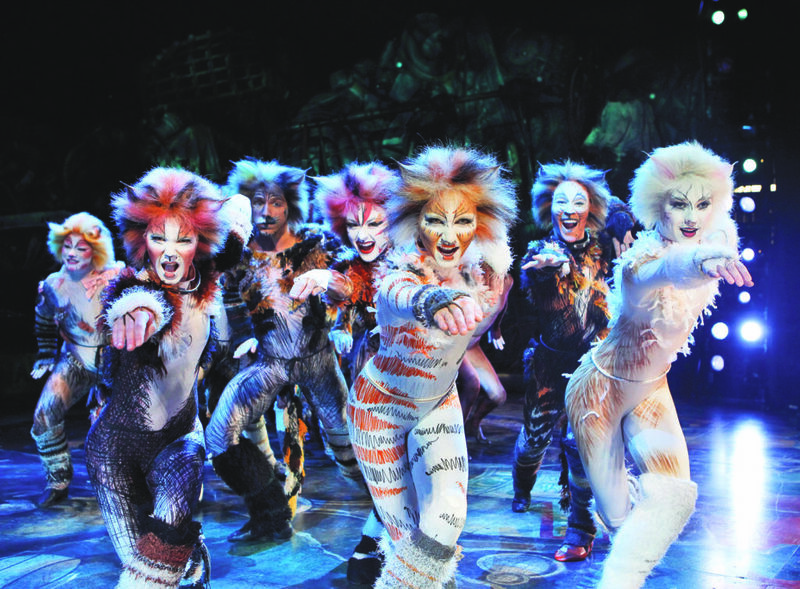 Cats is a masterpiece not just in singing and acting, but the choreography is second to none. If you like watching incredible dancing and amazing acrobatics, then Cats is the musical for you. 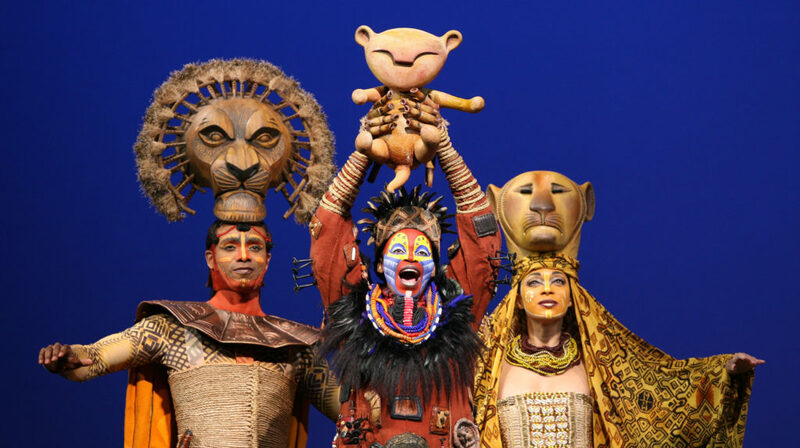 If there’s one thing to add to your bucket list, it’s a trip to see The Lion King live and in the flesh. Of course, we all know the 1994 Disney animated movie, and the musical uses this as a basis. However, there is so much more substance, fun, and excitement attached to the musical. You’ll find yourself singing along, and you’ll definitely want to return. Many people are put off by the fact you can see the actors underneath the costumes (well, you can’t exactly put real lions on the stage), but the costumes are all expertly crafted and do not take away from the sheer talent of the production. 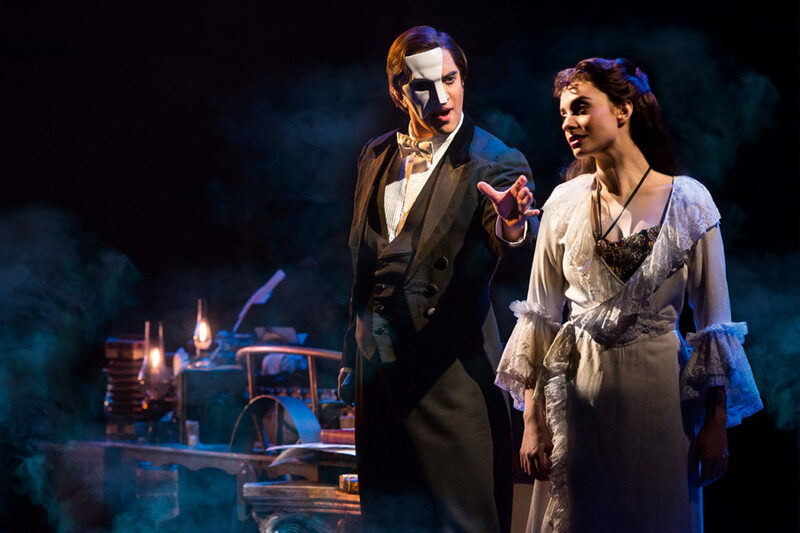 If you’re a musical buff, you just have to see the longest-running Broadway musical of all time – The Phantom of the Opera. The Phantom is another Andrew Lloyd Webber creation that has dominated the charts since its release in 1988. The musical itself is based on the French story, Le Fantome de l’Opera, written by Gaston Leroux and follows the life of Christine Daae, who becomes the subject of the mysterious Phantom’s obsession. It is well worth a watch. Any trip to New York is not complete without a trip to Broadway, so why not try and catch these amazing musicals live? Which one will you go for? If you’re like us and find it impossible to choose, then why not go and watch them all!